Police are appealing for help to trace the owner of a dog following an incident in Great Yarmouth. It happened sometime between 4.30pm and 5pm on Thursday 7 February 2019 when a woman was walking her dog along Breydon Water near to Great Yarmouth-Broadland Rugby Club when two dogs, described as being a yellow Labrador and a brown Staffordshire terrier, have attacked her dog. The victim’s dog was taken to the vet for treatment; however was sadly put to sleep as a result of the injuries. Officers are keen to trace the owner of the two dogs and speak to anyone who may have information regarding this incident. 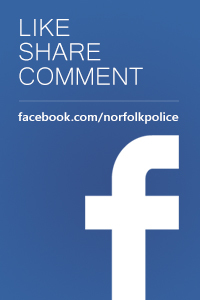 They’re asked to contact PC Gary Gibbs at Great Yarmouth Police Station on 101 or call Crimestoppers anonymously on 0800 555 111.